To train is to stress or overload the body to create a positive adaptation for improved performance. By successfully implementing recovery time into the training schedule, you allow for the positive adaptation to occur after the training session. 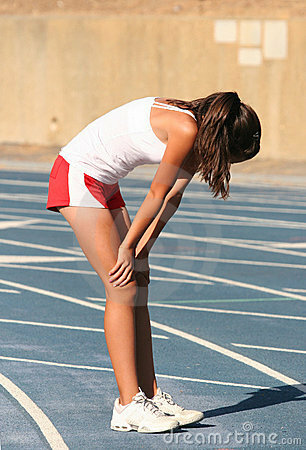 Athletes often experience short-term muscle soreness or fatigue after an overloading training session. However, without a proper balance between overload and rest, the athlete’s body will respond with a stagnation or drop in performance, which is generally called over-training or under-recovery. As an athlete, coach, or health care provider monitoring performance and interested in preventing under-recovery it is important to understand the spectrum of it. Overreaching (OR) is a short term stagnation in performance due to overloading the body without balanced recovery. Generally this can resolve in days to weeks with the appropriate changes to the training schedule. Overtraining (OT) syndrome is when the balance between stress and recovery is poor enough to cause a drop in performance accompanied by psychological and physiological signs. OT can take up to several months to resolve (1). Athletes experiencing under-recovery may feel generally apathetic, have depressed mood and reduced self-esteem, irritability, poor sleep and appetite, be increasingly vulnerable to injury or illness, and more (3). Having one episode of OT has been shown to increase the prevalence of experiencing it again. In a study of collegiate swimmers, it was found that 91% of swimmers who had been diagnosed with OT as freshman had a repeat diagnosis within three years. Only 34% of those who did not have OT during their first year experienced it later in their college careers (2). According to athlete reports, the most frequent causes of OT are too much time in practice and physical training, physical exhaustion, boredom or repetition, poor rest and lack of sleep, and too much stress or pressure (3). * Recovery is a process in time and is dependent on the type and duration of stress. * Recovery depends on a reduction of, a change to, or a break from stress. * Recovery is specific to the individual and depends on individual appraisal. * Recovery can be passive, active, or pro-active. * Recovery is closely tied to situational conditions (4). Active rest is a low intensity workout where the goal is to keep moving but at a lower level of work. Generally keeping the intensity to about ½ to ⅔ of a normal workout day or keeping heart to 50-70% of max heart rate is a good way to make sure you are actually “resting” and not just having an easy workout. The athlete should report feeling better not more fatigued afterward. When you use recovery techniques such as active rest days, sleeping well, feeding your body proper nutrition after training sessions, it is considered proactive recovery. Passive rest is a complete rest day with no activity. Although this is an essential part of the training schedule, these days are necessary more frequently when an athlete is slipping into the OR or OT category of training. To stay away from needing increased number of “off” days or prolonged periods of rest, keep the balance throughout the training program. Situational conditions that may affect recovery include psychological factors, sleep routine disruptions, nutrition changes as well as many other external factors that might cause the need for a change in the recovery portion of training. The following is a list directly from the Joint Consensus Statement of the European College of Sport Science and the American College of Sports Medicine in 2010. It lists considerations that should be made by coaches and others attempting to optimize performance and health. * Maintain accurate records of performance during training and competition. * Be willing to adjust daily training intensity/volume or allow a day of complete rest, when performance declines, or the athlete complains of excessive fatigue. * Avoid excessive monotony of training. * Always individualize the intensity of training. * Encourage and regularly reinforce optimal nutrition, hydration status, and sleep. * Be aware that multiple stressors such as sleep loss or sleep disturbance (e.g., jet lag), exposure to environmental stressors, occupational pressures, change of residence, and interpersonal or family difficulties may add to the stress of physical training. * Treat OTS with rest. * Reduced training may be sufficient for recovery in some cases of OR. * Resumption of training should be individualized on the basis of the signs and symptoms because there is no definitive indicator of recovery. * Communication with the athletes (maybe through an online training diary) about their physical, mental, and emotional concerns is important. * Include regular psychological questionnaires to evaluate the emotional and psychological state of the athlete. * Maintain confidentiality regarding each athlete’s condition (physical, clinical and mental). * Importance of regular health checks performed by a multidisciplinary team (physician, nutritionist, psychologist, etc.). * Allow the athlete time to recover after illness/injury (1). It is important to schedule recovery time into your training program. If you believe you are experiencing under-recovery in your own training, contact one or more members of your health and performance team (physical therapist, coach, primary medical doctor, nutritionist) for assessment and modification of your program. 1. Meeusen, et al. Prevention, Diagnosis, and Treatment of the Overtraining Syndrome: Joint Consensus Statement of the European College of Sport Science and the American College of Sports Medicine. 2010. 186-205. 2. Raglin J. Overtraining and staleness: psychometric monitoring of endurance athletes. In: RN Singer, M Murphey, LK Tennant, editors. Handbook of Research on Sport Psychology. New York: Macmillan; 1993. 840–50. 4. Kellmann, M. Preventing overtraining in athletes in high-intensity sports and stress/recovery monitoring. Scandinavian Journal of Medicine & Science in Sports, 2010. 20: 95–102.